"Make easy money just by driving with Uber!" That was a Facebook post I saw that was made by one of my friends. Of course, it grabbed my attention. How could you make money by driving? More importantly, who is Uber? My curiosity started kicking in, and I decided to do my research. 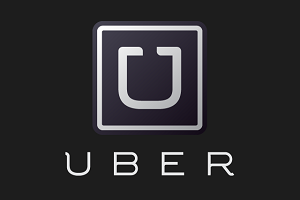 According to their website, Uber is a service created in 2009 that connects its users to its drivers through a mobile app. Basically, Uber contracts a set of licensed drivers. An Uber user can request taxi-like services by pulling the app up on their phone and contacting an Uber driver that's closest to them. The user can then rate the driver based on their experience, and they pay the driver by linking their credit card information to their account so their fare is automatically deducted. Drivers for Uber can create their own schedule, though the site suggests being available during peak hours to make more money. I assume "peak hours" are when bars are closing or after a concert or sporting event. The service itself seems pretty innovative. For the driver, they have the freedom to set their own hours and don't have to deal with cash. For the user, they are able to hand-pick their drivers that are close to them and/or are highly rated. You can't quite do that by calling a traditional taxi service. Although it has gained popularity with the public, many city officials are not too happy with the tech company. In Los Angeles, Uber received a cease-and-desist letter this last June telling the company that they are "operating an unlicensed, for-profit commercial transportation service..." Uber has also had to deal with battles in Chicago, San Francisco, Boston, Washington D.C., and most recently Dallas. The City of Dallas initiated an investigation that ended up with 61 citations being issued to 31 Uber drivers as of August 28, 2013. Since Uber came to Dallas in 2012, members of the City Council have tried to regulate its transportation-for-hire services. More recently, city staff members had placed an unscheduled item into the Dallas City Council meeting agenda. When agenda items are scheduled, a committee will study the issue and get the public’s input before it would ever reach City Council. However, a memo was placed into the August 28, 2013 agenda to propose changes to the current Chapter 10A of the Dallas City Code bypassing the usual procedure. Along with city officials, taxi and transportation companies are not too fond of the service either. A representative from LADOT (Los Angeles Department of Transportation) said that these drivers for Uber "...are not required to pass background checks or have their vehicles inspected for safety." Arthur Hollingsworth, an investor for Yellow Cab also argues that "Uber drivers don't have to pay the same taxes, insurance fees and licensing fees that taxi drivers do." Both are pretty good points if the primary concern about the whole issue is fairness and public safety. It seems that after the August 28th City Council meeting, the issue has simmered down a little in Dallas. The Dallas Morning News reported on October 23, 2013 that the 61 citations have all been dropped and the City of Dallas is backing off Uber as the interim Dallas city manager, A.C. Gonzales, has been getting a lot of heat for not handling the issue appropriately. So, the question still begs to be answered. Should Uber be treated like a taxi company and pay the same fees or follow the same regulations that taxi drivers are subjected to? Or are they merely a middleman for the for-hire transportation driver and the Uber user? I think as long as the Uber drivers have the necessary background checks done (they don’t have any warrants, are not reckless drivers, and are properly insured) then they should be allowed to offer their services. The transportation market is changing as it should with technology. I think it’s great that Uber users are able to see their driver’s ratings and can hail them quicker than they can get a cab. It’s just a different way of doing business. 17 Tips For More Productive Conference Calls - New Bonus Tips!